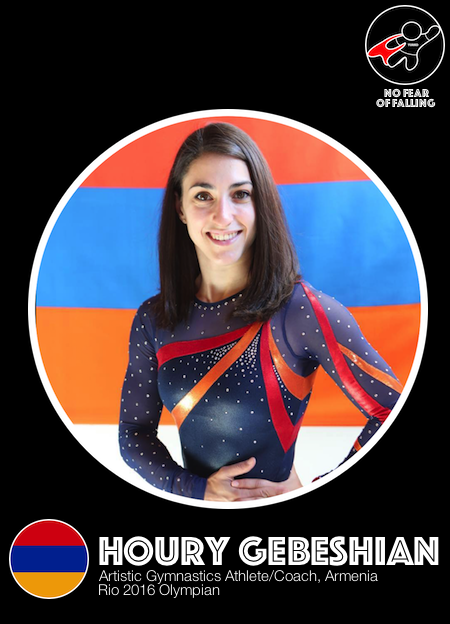 In this episode (our first one back after a bit of a hiatus), we are talking with Rio 2016 Olympian, and the first ever woman to compete for ARMENIA in Rhythmic Gymnastics, HOURY GEBESHIAN. You may have heard her story during the Olympics, as many news outlets told her story, which is a very inspiring one. From deciding to leave the sport after failing to qualify for the 2012 Olympics, to returning and training herself into competitive shape in a self-funded and directed manner; all while combining this dream of the Olympics with a full-time career in the Medical field. Houry is a shining example of what one can do with determination, drive, and very strong time-management skills. Now she is continuing her path in gymnastics in both coaching, and crowdfunding to help develop the Armenian Women's Gymnastics program. We talked about combining education and sport, about her journey and the lessons she learned along the way, and how one has to fail in order to succeed. It was a great episode to record, and Houry is so well-spoken and fascinating to listen to.